This was the damning conclusion of the public service ombudsman investigating the death of Paul Ridd on Ward G at Morriston Hospital, Swansea, in 2009. ‘Fun-loving and constantly smiling’ Paul had severe learning disabilities after being born with the umbilical cord around his neck, starving his brain of oxygen. He had been admitted to the hospital in his 50s with a perforated bowel. After emergency surgery and a spell in intensive care, he was transferred to general Ward G. The signs he was deteriorating were ignored and put down to his learning disability. The ombudsman said neglect, lack of training and ignorance were contributory factors to Paul’s death. Melanie Davies had recently joined the ward. She was horrified. ‘I had grown up with my uncle who had learning disabilities,’ she says. ‘It was probably what inspired me to become a nurse. It was a catalyst, inspiring a passion to transform hospital care for people with a learning disability. 'I resolved never again on my ward, in my hospital or my health board,' she says. And, mostly in her own time, she fulfilled that promise by raising awareness, changing pathways and training staff. For her achievements, passion and commitment, Melanie has been named RCN Nurse of the Year 2017, the profession’s top accolade, at the RCNi Nurse Awards. Earlier in the evening, she won the NHS-England sponsored Learning Disability Practice category. She started by changing the culture on her ward developing an information pack including communication and assessment tools and contact numbers. Magnets and stickers alert staff to make reasonable adjustments in the care that they give. A traffic light assessment documentation is completed by someone who knows the patient. ‘It includes things we should know, need to know and things the family would like us to know,’ she says. Melanie started delivering informal training sessions on the wards, focusing on the complex care requirements of patients with a learning disability.’ She established herself the go-to person for advice when a patient with a learning disability arrives on the ward. ‘I built relationships and shared good practice ideas with staff whenever I could. Staff knew they could call me any time’. The packs and the training were rolled out throughout the hospital, then Abertawe Bro Morgannwg University Health Board. It has been used as the foundation for the care bundle developed as part of the Welsh Assembly’s 1,000 lives campaign, which is being promoted across NHS Wales. Paul died after being transferred from intensive care so Melanie implemented a procedure to ensure patients are assessed first, including meetings with the lead nurse. The family are included so they can relay valuable information to the ward team and a personalised care plan ensures it is prepared to meet all the patient’s needs. Melanie arranges visits before planned admissions and pre assessments and before discharge home, the multi-disciplinary team meets with patients' carers to ensures effective communication. ‘ We now tell parents and families what to expect at every step,’ says Melanie. There is a logo on all documentation alerting staff to make reasonable adjustments. 'The logo is in a speech bubble as communication is the key,’ says Melanie. Changing culture ‘took a long, long time’ Melanie says, but there is now a network of 170 trained learning disability champions across the health boards four sites. Morriston Hospital’s lead nurse, matron Tina Smyth, says: ‘We are so proud of Melanie. She has been a pioneer in changing attitudes and behaviours towards patients with a learning disability from passive to passionate. Her own passion for patient-centred care and her willingness to go the extra mile is abundant. 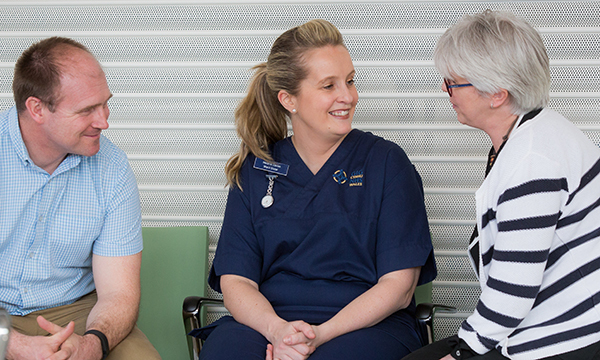 Paul’s siblings Jayne and Jonathan applaud the ‘fundamental change’ Melanie has led at the hospital and beyond, praising her inspiration to other nurses. ‘She has inspired other nurses across the health board and has supported us with our campaign to make health service provision better for people with a learning disability. 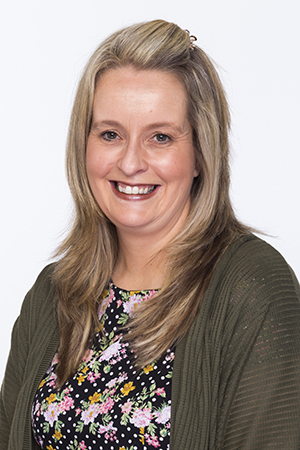 Helen, professional lead for learning disability nursing, initiated and developed Positive Choices network – a UK wide movement ensuring students celebrate their choice to become a learning disability nurse. Each year at least 500 student nurses – more than 8,000 since it started – join people with a learning disability and their loved-ones for a free-to-access two-day event. Now in its 14th year, it has become a thriving social network and knowledge exchange valued by students, people with a learning disability and their loved ones. This small, dedicated team of learning disability nurses was highly commended for the end of life care teaching and support package it created for clients in a residential home. Doing It My Way includes a thought-provoking DVD and explores difficulties around the language used and the attitudes that exist around end of life care for people with a learning disability. The team has developed a local palliative care support group and is working on a non-verbal pain tool, symptom management and communication training. A consultant nurse Jim set up a protocol to improve experience and outcomes among children with a learning disability needing surgery. The protocol includes measures such as using 'comforters' to relax patients before surgery, a slower recovery and lower levels of noise and light. Parents/carers are present and involved. There are specific measures if the patient is still disturbed or distressed in recovery. The protocol has improved staff’s confidence, fewer operations are cancelled, and families value that their child's needs are being individually addressed. After its own research showed students were not confident in communicating with people who have a learning disability, this team of staff nurses, learning disability nurses and a student have created a fun and interactive session aimed at dispelling myths and improving care for patients with a learning disability in hospital. The Powwow programme includes 30-minute presentation on effective ways to communicate with a patient with a learning disability and a pocket communication guide. The personal involvement of my sister Jayne and I with Melanie Davies began after the loss of our dear brother Paul in 2009 at Morriston Hospital in Swansea. 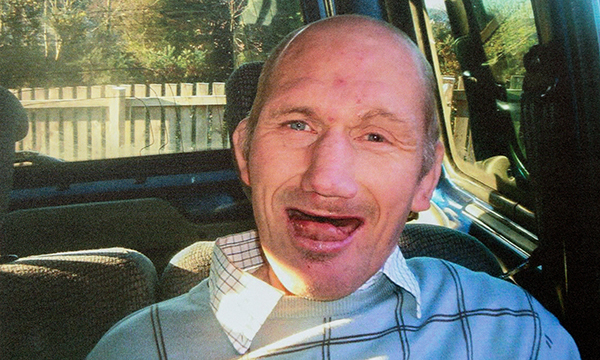 The ombudsman said the care he received was ‘dire’ and that neglect and poor training were factors in his death. During our campaign to bring about change in the NHS for people with learning disabilities, Melanie has been a source of unwavering support and inspiration throughout. Having a close family member with a learning disability herself, Melanie was empathetic to our cause and has gone above and beyond her professional role in encouraging and backing us and ensuring patients with a learning disability receive the level of hospital care they deserve. Melanie is the lead learning disability champion for Morriston Hospital. On a daily basis she strives to ensure reasonable adjustments are made, actioned and implemented to safeguard the care for patients with a learning disability. She champions the changes introduced after our brother’s death and as a result, they are delivered in such a way as to improve the experiences of patients with learning disabilities in secondary care. Her role in Morriston Hospital is vital – other NHS staff can turn to her to seek guidance and support to ensure they are following the correct pathway for any patients with a learning disability. Thanks to Melanie, patients now are now experiencing tailored reasonable adjustments to their individual care, which is alleviating anxiety for patients and their families and carers. Melanie guides and inspires other NHS staff with her high standards and values. By following her example, the standard level of care for patients with a learning disability is increasing enormously throughout the hospital. As an individual, Melanie embodies what you would hope for from a health professional - she values everyone as an individual, whether they are a patient with a learning disability or family member. Her outstanding communication skills enable her to connect with individuals and deliver clear information, as the brother of someone who had profound learning disability, this is essential. Her genuine care for others sees her following the journeys of patients with learning disabilities throughout their hospital stay, ensuring any requirements are met, securing a safe and stress free discharge, and continued plans in place for their healthcare once leaving hospital. Melanie not only acts as the link to the Paul Ridd Foundation (PRF) through her professional post, but she goes way beyond her duty here too. Melanie has spent numerous hours volunteering with the PRF to support the valuable work required to increase the awareness across ABMU Health Board. She has established herself as our acute services advisor and has supported many of our meetings and events. She is a regular at our training sessions adding immense value as she can relate to the demands on NHS staff and can offer a professional and practical view to implementing change. Without Melanie’s dedication to the care of patients with learning disabilities the Paul Ridd Foundation would not have made the impact we are grateful to be making so far across the health boards of Wales.